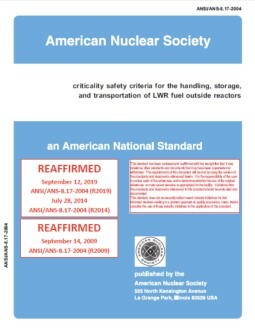 This standard is applicable to operations with fissionable materials outside nuclear reactors, except for the assembly of these materials under controlled conditions, such as in critical experiments. Generalized basic criteria are presented, and limits are specified for some single fissionable units of simple shape containing 233U, 235U, or 239Pu, but not for multiunit arrays. 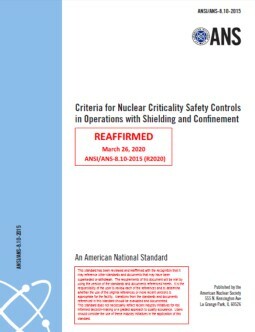 Requirements are stated for establishing the validity and areas of applicability of any calculational method used in assessing nuclear criticality safety. This standard does not include the details of administrative controls, the design of processes or equipment, the description of instrumentation for process control, or detailed criteria to be met in transporting fissionable materials.